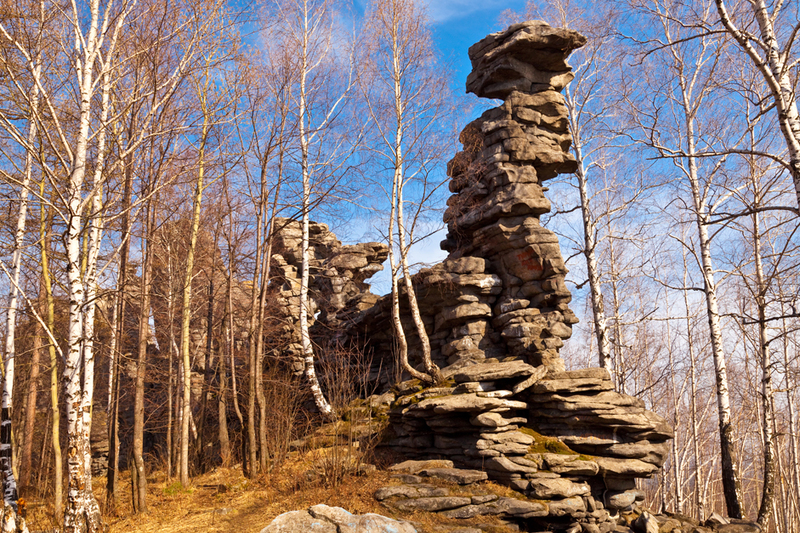 Russia is home to thousands of geological landmarks. They were formed naturally throughout time and are scientifically significance in terms of studying the Earth’s geological processes. Frequently, these spots are located in unpopulated areas and don’t have any tourist routes because few people even in Russia know about them. We here at RBTH offer a selection of the most interesting natural landmarks in our opinion. Tyatya Volcano is the highest volcano on Kunashir Island. People say that Tyatya poses a danger to aircraft. It doesn’t just spew toxic gases at its summit, but from its side, as well. Perhaps these gases were responsible for the several helicopter crashes that have occurred here. The path to the volcano is long and difficult. In good weather, it may take you no less than three days to reach it. The fiery mountains on the Amur River in the aptly named Amur Region were first described by the famous Russian traveler and scientist Nikolay Przhevalsky during his expedition in the south of Russia’s Far East in the 1870s. Evidence indicates that the mountain has been smoking for more than 300 years. The reason for this phenomenon is that the deposits of coal and lignite in the mountain once caught on fire and have continued to smolder due to the proximity of atmospheric gases. 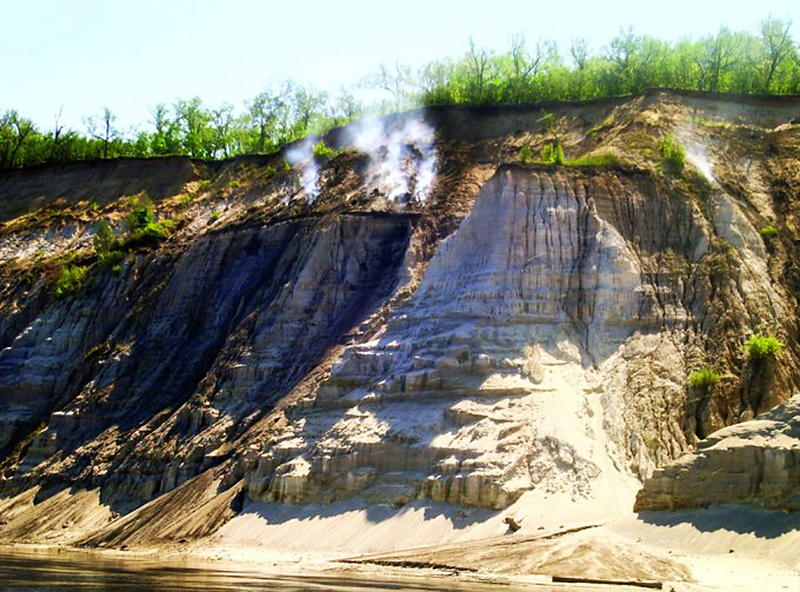 The Lena Pillars in Yakutia on the Sinyaya River. The rocky shores that make up the “Pillars” stretch here for dozens of kilometers. They reach 100 meters in height and create unbelievable views. The Pillars were formed out of limestone that was created approximately 550 million years ago. The pillars themselves are younger; they’re “only” about 400 thousand years old. 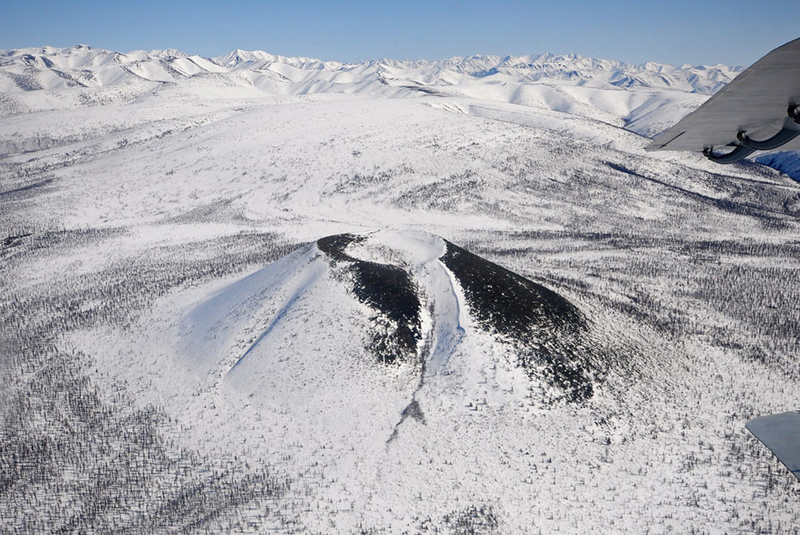 The Balagan-Tas Volcano in Yakutia, near the Arctic Circle. 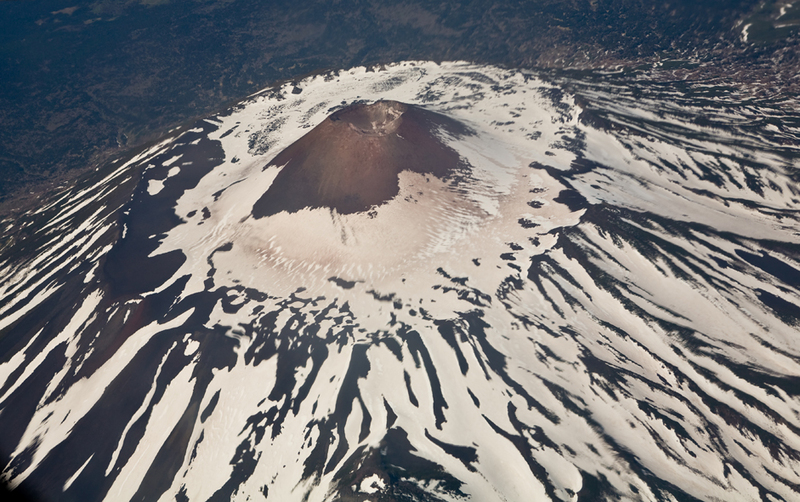 It forms an almost perfect cone, 990 meters in diameter. Its slopes are made of basalt and pumice. Geologists are not able to determine its age. Circumstantial evidence suggests that it is only a few hundred years old. 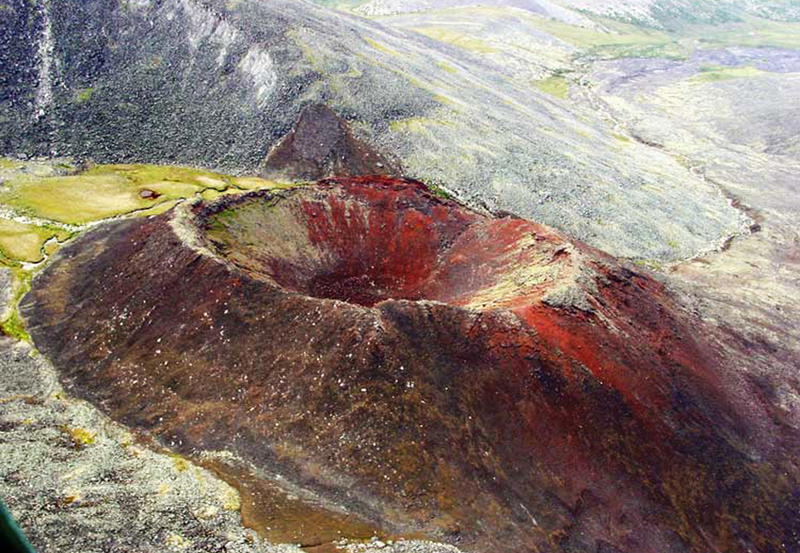 The extinct Anyuyskiy Volcano is located in an unpopulated part of Chukotka, near the Moni River. According to geological data, the Anyuyskiy’s last eruption occurred approximately 500 years ago. Nothing indicates that he volcano may soon become active again. It is the only volcano in Russia with fully open lava tubes that measure 55 kilometers in length. 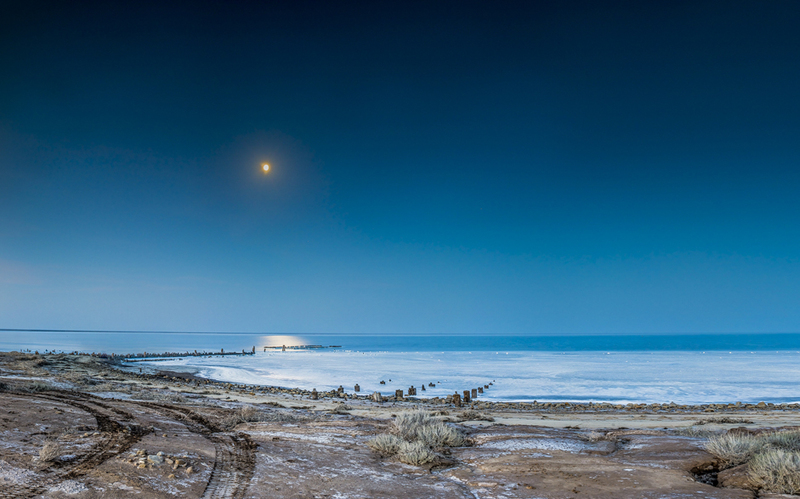 The Usolsky Salt Deposits are situated near the city of Solikamsk where salt has been mined since the 15th century. 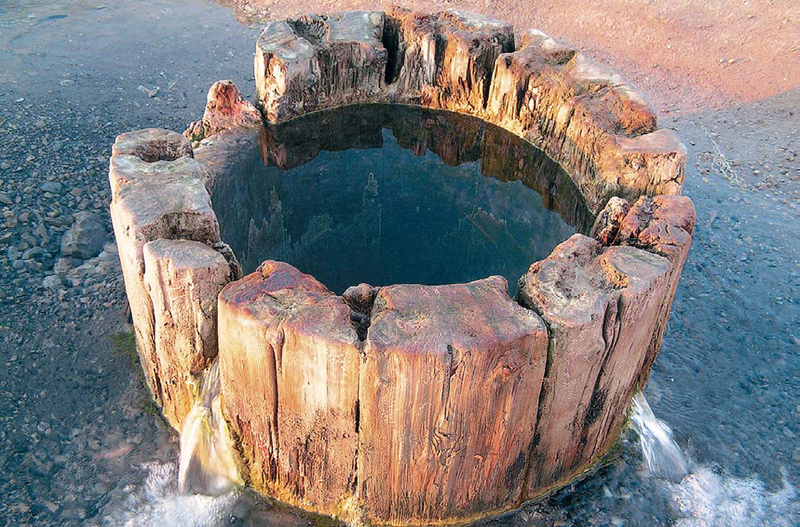 Out of all the wooden pipes that were used to bore for salt in the times of Tsarist Russia, only the Lyudmilinskaya borehole, which was dug in 1906, remains. It was in this area—although in a different borehole—that the first traces of potassium in Russia were discovered in the early 20th century. Glade Narzanov in Kabardino-Balkaria. The Caucasus and southern Russian are renowned for their mineral waters. Kabardino-Balkarian springs are less known, although research into the water at Glade Narzanov showed that it possesses curative properties equal to that of water from Pyatigorsk, Essentuki, and Kislovodsk, the places where the elite of the Russian Empire went to be treated. The Chegem Waterfalls are also located in Kabardino-Balkaria, on the Chegem River’s right bank. Falling off the cliffs and emerging from numerous fissures, the water cascades from 50-60 meters off the ground into the raging Chegem, forming many rainbows in the process. 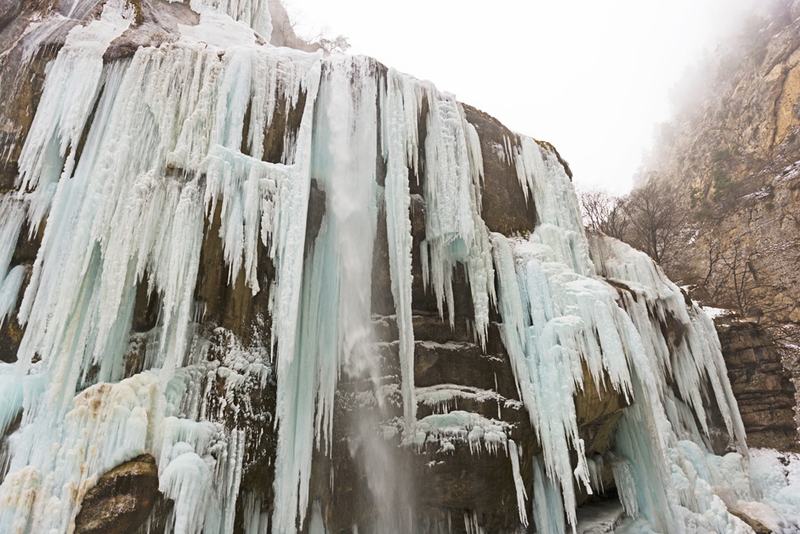 In the winter, the waterfalls partially freeze over, transforming into icy pillars reminiscent of organ pipes. 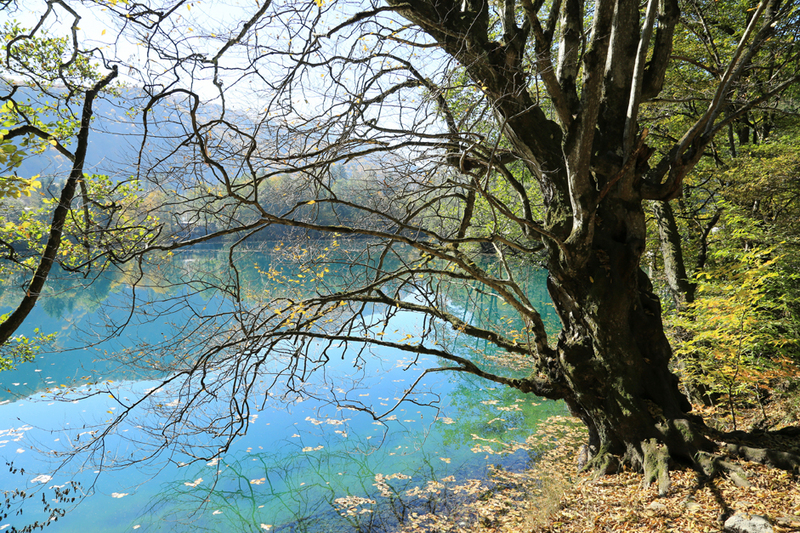 Another unique natural landmark in Kabardino-Balkaria are the Golubye Ozera, or Blue Lakes. The chemical composition of the water makes it a bluish turquoise. On a bright, sunny day, the water is completely clear and visibility reaches 70 meters. The lake is unique in that not a single river feeds into it. Instead, this karst spring lake is fed by underwater sources. 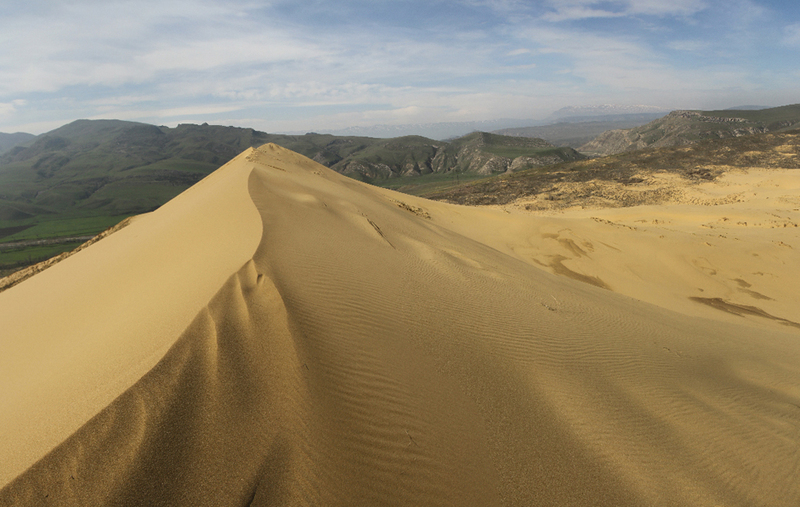 The Sarykum Dune in Dagestan is situated near the regional capital of Makhachkala. Russian scientists consider Eurasia’s largest sand dune to be a relict dune, meaning it hasn’t undergone changes like the geological structures surrounding it. The dune’s tallest point is 250 meters high. The mound is made up of fine golden sand and resembles a miniature Asian desert. 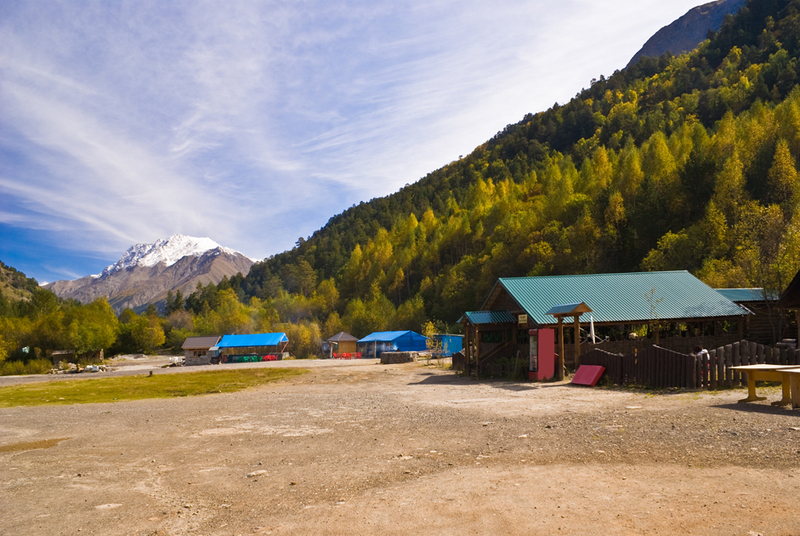 The salt Burlinskoye Lake is situated in the Altai Krai. Up until 1984, table salt was mined by hand here. However, after the collection process was mechanized, the salt crystals stopped growing and the salt that was mined was only useful for livestock purposes. The lake, rarely deeper than one meter, had a unique hydrochemical balance that was subsequently disturbed. 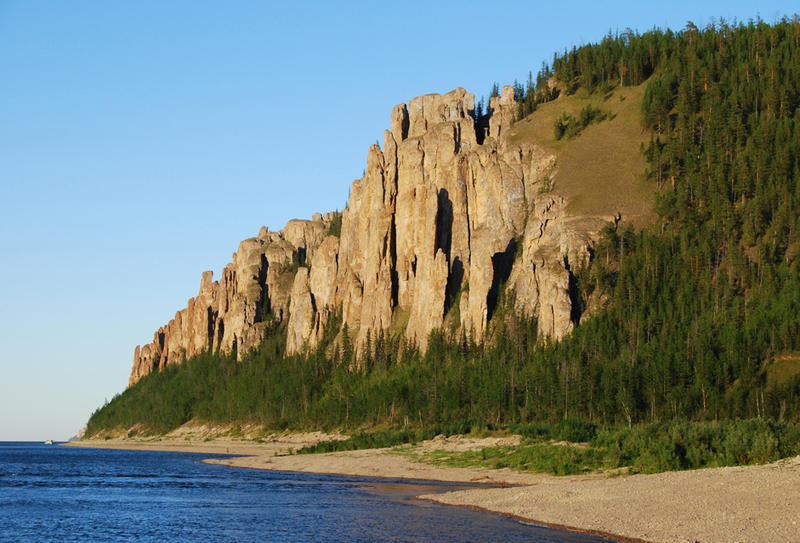 The Seven Brothers in the Chelyabinsk region’s Ural Mountains is a group of steep cliffs that are tall for a steppe zone. These rock figures are the source of many legends among locals. The cliffs are 30-35 meters high. The gigantic rocks are formed of gray tiny crystal formations, most likely diabase or dolerite. 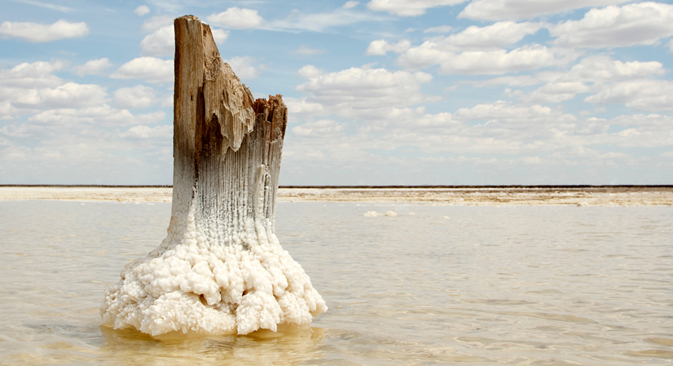 Baskunchak is another salt lake. Mount Bolshoye Bogdo towers next to it. The mountain is covered in early Triassic limestone (approximately 250 millions old) and clay. 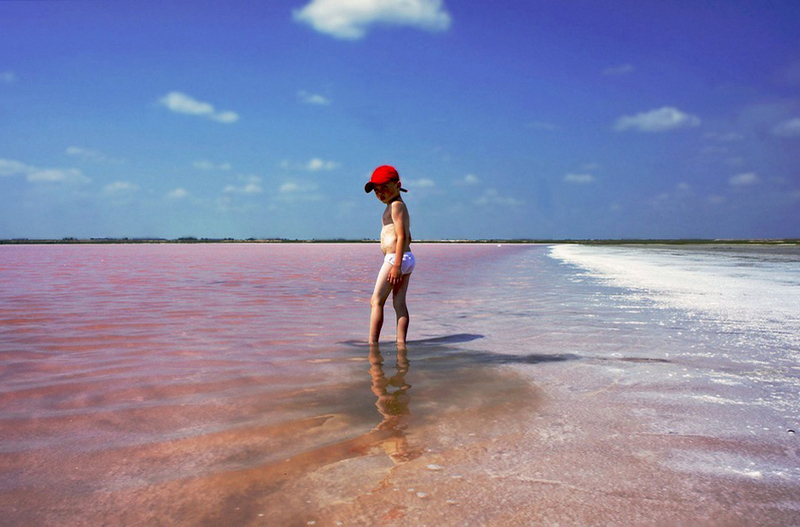 People began to mine the salt from the lake in order to trade on the Silk Road as early as the 8th century. Salt is still mined here for use in food. 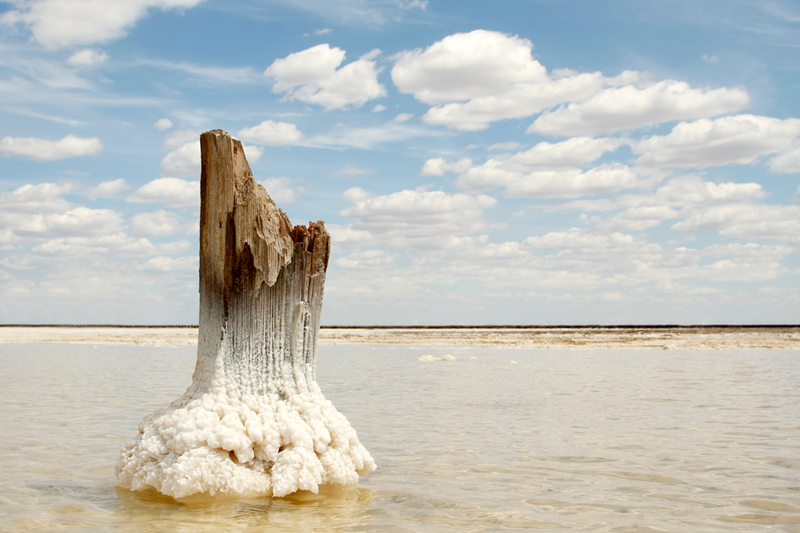 Lake Elton, in the Volgograd region, is Europe’s largest salt lake. Its area measures nearly 150 square kilometers. The lake’s name comes from the Kazakh word “altyn-nur” meaning “golden lake”. Lake Elton’s bed contains salt and hydrogen sulfide mud deposits that are used to treat the nervous and musculoskeletal systems. In the past, coming to Lake Elton for rest and health treatments was considered to be so prestigious that members of the Russian aristocracy and members of the royal family made their way to this desert. 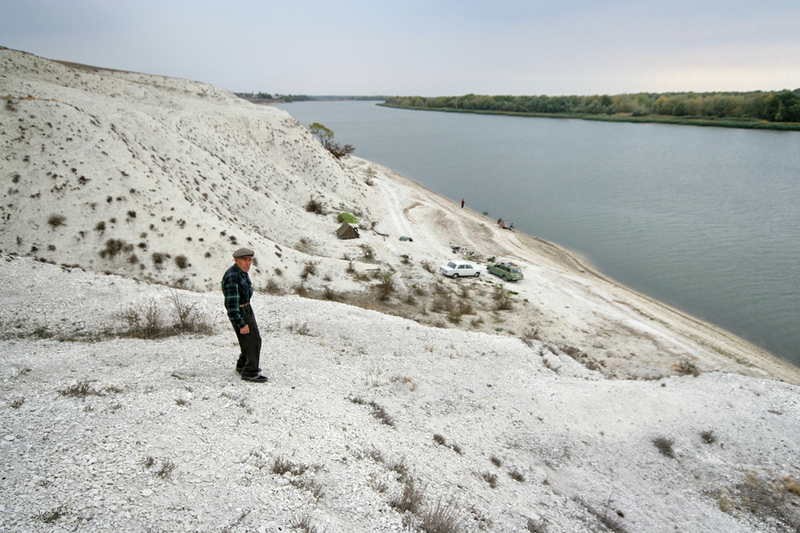 Also in the Volgograd region, on the Don River, is an extremely interesting geological object: chalk mountains made up of ancient sands. It seems that this was once the bottom of an ocean, since deposits here contain the fossils of ancient sharks and plesiosaurs. The chalk mountains reach 100 meters in high and can be considered the tallest in Europe.